That the people in this sport are good. They will support you through your disappointments, and cheer you through your successes. Notably, I've had multiple fellow pro women reach out to me, and it really, really speaks volumes to me and makes me feel incredibly grateful to be involved in something with so much respect and support between competitors. There's a difference between clarity and muddiness, or going through the motions. I had a lot of periods last year of slogging. I had plenty of times this year when my motivation waned, and training was nothing more than mindlessly exercising while counting down the minutes to nothing. Conversely, I've had periods when the fog has cleared, and I've been able to just feel the difference. When my head's in the right place after a long time of it not quite being there, I know it. And it's more refreshing than I could have imagined. When you go long enough without something, you either discover that you can find more happiness with other stuff, or that thing, whatever it is, has become such an ingrained part of your being that something is missing when it's gone, and nothing will quite take its place. I'm the latter. Neither is right or wrong. I guess this goes with the whole old, "if you love something, set it free" adage. 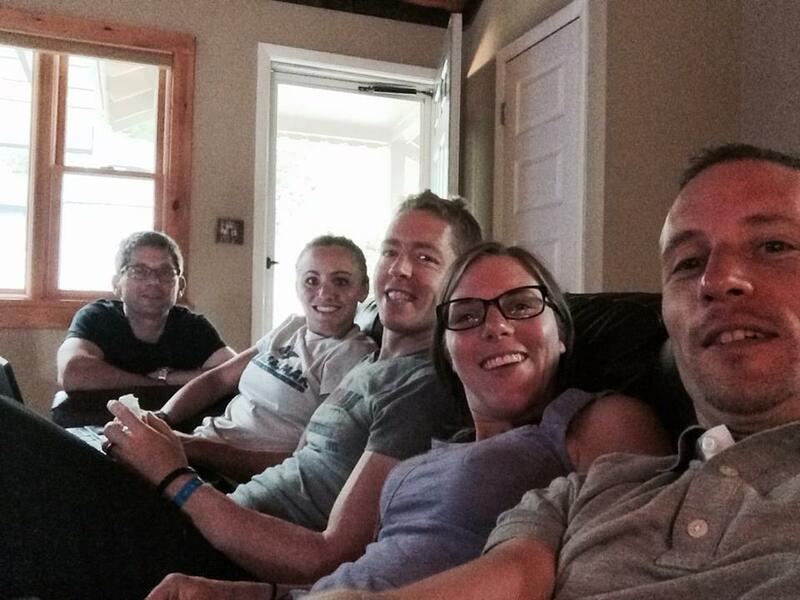 Triathlon, and in particular Ironman, seems like a totally selfish endeavor at times. But, on the other hand, training and competing makes me a better person. When all is working on that part of my life, I'm far more likely to smile at a stranger, hold a door a little bit longer, and spread more happiness (and less bitterness) around me. So maybe it's not as selfish as it all seems. Perspective is necessary. Realize when things are temporary; I'm fortunate enough to be able to have the ability to return to being my full self again with everyone I care about with me; I'm clothed and in a house and comfortable and fed. I need to continue to remember that, even if that day where I'm 100% isn't today or tomorrow or anytime in the next few months. Sometimes yelling and screaming and throwing things inside is necessary, but once that's past, focus on what can be done, and do it. At the same time, it's ok to be not ok. Sometimes, no amount of perspective could change my feelings. Sometimes, I just wanted to tell perspective to go eff itself, because I was sad and thinking about how I shouldn't be sad because I had so much to be grateful for just made me sad AND guilty. One debbie downer day in aquatic therapy, my PT told me what her mom had once told her as a child-"go to your room, and for 20 minutes, cry, throw pity parties, do whatever you want. But get it out in those 20 minutes, and then come out better." I took this advice to heart on more than one occasion. 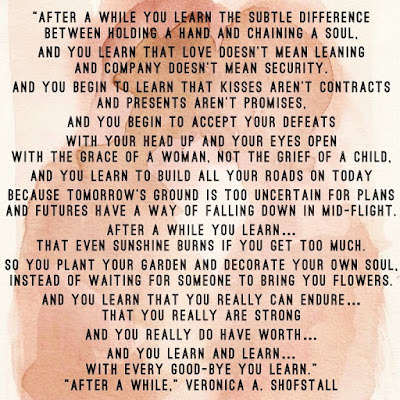 I tried to stop guilt tripping myself for the down times, because, well, I couldn't do something that I loved, so not being thrilled about it here and there was ok. It's ok to let others help you when you're not ok. Don't be afraid to reach out. People who care truly do want to help, and are more than capable to do so in their own ways. I've had so many relationships that have been made and deepened throughout this whole time, and that has been fulfilling in and of itself. Laugh at the ridiculous. Sometimes, a dog in a peacock costume (one example here) is all that we've got. At one point, I unabashedly binge watched whine about it episodes. Laughter truly is the best medicine. Take it all in stride. I've had ups, I've had downs, even on a day to day basis. I'm learning to temper my excitement about the ups, and to keep my chin up during the downs. Everything is a step towards something larger. Running is the best. Especially in the fall. I don't need to elaborate this one any more. Maybe, just maybe, those demons might just be the best thing to ever happen. Triathlon is hard. Maximizing potential involves a lot of pain. More days than not (recovery days are necessary, after all), some sort of physical discomfort will be experienced. When the pain comes in training and racing, I find that I do better when there's something to overcome, some darkness, some edge inside of me taking away the fear of taking it on. 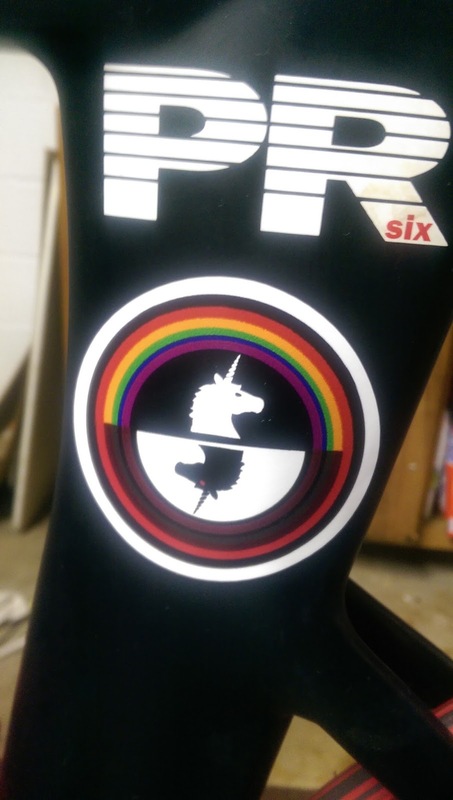 Triathlon sure as heck isn't rainbows and butterflies. Having some part of my mind hardened and angry only serves to sharpen the focus at times. Life had gotten too cushy. I might have just gotten what I needed all along, which was to (for lack of a better term) to find myself a little bit more effed up in the head, in the best possible way. As for my training status right now? I'm starting to run again. My hip isn't perfect-the joint feels good, but some of the tendons are trying to figure it out still. But running is as wonderful as I'd imagined, and I'm doing everything within my power to try to make it work this time around. I'm biking decently without putting in tons of volume or intensity yet, which is encouraging. My hip is starting to let me clip in and work, which is hard and wonderful all at once. Swimming is rough, but I'm finally addressing an issue I've been having with it for ages now (ulnar nerve compression symptoms), and I'll have some more answers on that in a few weeks. I'm watching the leaves burst into color and the fall world come to life. I feel cautious still. Very, very cautious. But better. And for the actual poem? I found the original, and I might just like that too. 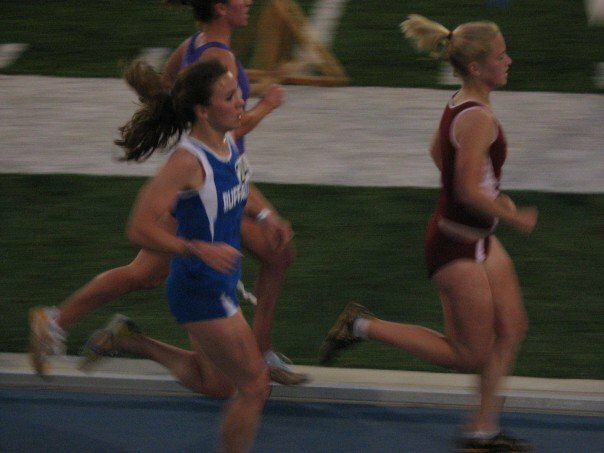 10 years ago, I thought I had the running world in my hands. I was coming off of a year in which I'd been able to put in consistent work, and I'd pr'ed sizably in every distance from the 1500 up to the 10k. 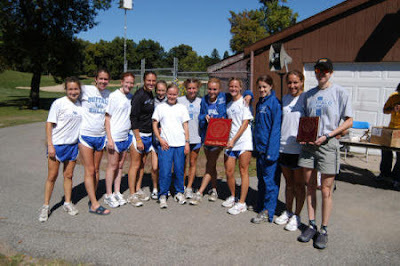 I certainly wasn't a stud, but I'd been happy to be a scoring member of our college cross country team, which had finished in the top 10 at regionals that year. 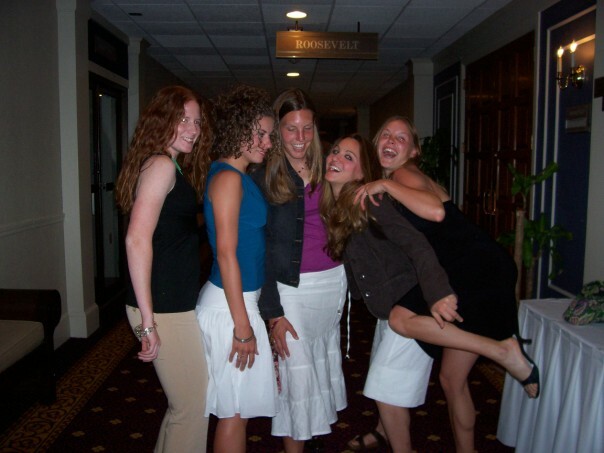 In track, I'd met my goal of being included in the travel squad to our conference championships. Sure, I probably got lapped by every scoring runner, but I'd been happy to be included. That had been my junior year. My only blemish was my final race of the season, the conference meet 10k. I'd felt flat and struggled, finishing several seconds off of my pr, which I had thought I should be able to beat. Junior year XC team. We won a meet. I was probably solely responsible for half of our teams points (in cross country, that's a bad thing), but we still won. UBXC! Goofing around at an indoor meet that season. Note the old school early 2000's original digital camera. Teammates Jenny, Carolynne, and me after the conference meet 10k that year. I think Jenny double lapped me. Carolynne and I (with Megan) put together a 500 piece puzzle that weekend, though, so that's almost as big of an accomplishment. Not really. So what should I have done next? I should have rested, taken a couple of weeks off to rejuvenate after a hard-fought year, and slowly built up my training according to the training plan that my coach provided. What did I do instead? I maybe took a couple of days off, and then randomly raced (and won) the Buffalo half marathon on a whim. I then decided that I wanted to make the next year, my senior year, bigger and better than ever. I had big aspirations-maybe I could turn that top-50 at the cross country conference meet into a top-20; maybe I could squeak into the top-8 scorers in the 10k outdoors. Who knew what would happen if I ran more than ever? So I ran more than ever. If 50-60mi/week had worked out well during the season, then 70-80 over the summer could be even better. I ran doubles nearly every day. After a month or so, I started to hit the track. Then there was my diet. As someone who had always felt too "big" for a runner, I thought that all of the problems in the world would be solved if I was smaller. At 5'4" and 116-117lbs, I was as light as I'd ever been that summer. On paper, this is well within a healthy range and I certainly looked absolutely fine. I was still heavier than many runners my height, though, and I continued to restrict food intake to a less than healthy degree to try to get the body type that I thought I would need. Crossing the line of the Buffalo half marathon. I had to turn down $500 to maintain my collegiate eligibility, too. That stung. Also, yes, I am definitely wearing a wife beater. Where did this leave me come September? If you guessed, "killing it during cross country season", you'd be wrong. If you guessed, "in an air cast up to my knee and on crutches, borderline female athlete triad", you'd be correct. I made it as far as our team's 3k time trial in the early season before stepping off the track and realizing that I was done. My day-glo bone scan shortly thereafter came as no great surprise. I watched the conference and regional meets from the sideline. In that time, I water ran, biked, and ellipticaled as much as I could, when I could, plotting my comeback. My leg took a little longer to heal than I thought that it would, but eventually I was running again in November. 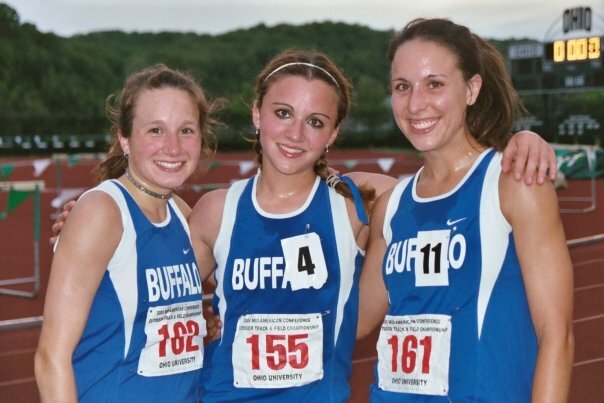 Because I was already planning on going to grad school at UB and thus would be running cross country during my fifth year already, we also opted to redshirt my indoor track season in order to have a better shot when I was in better shape. I'd start competing again in spring track, when I was good and in shape and ready to have a great season. With my teammates after I had road tripped out to watch our conference meet. My aircast was here, but not seen. Also memorable from this trip was the killer driving move I made in Indiana where I made a narrow pass of a tractor trailer in order to not have to turn off my cruise control. Apparently it was more epic from the back seat than it seemed from the driver's seat. So what happened in spring track? I was out for a run one cold, rainy, miserable March day when my IT band started stabbing me. It didn't stop stabbing me in any sort of timely manner. I couldn't run. Cross training was iffy. I had just started dating Dave in that time frame, though, so not all was bad. I spent more time with friends and my new boyfriend. I gained a bunch of weight. I did what I could for that knee, including driving to the training room during my breaks at work over the summer, but that IT band syndrome was as stubborn as all get out. I had MRIs; I tried to cross train; I tried not cross training and just letting it rest. Finally, in mid-August, I had the darn thing shot up with cortisone, and showed up at the start of cross country practice completely out of shape, not totally healthy, heavy, but ready to go. 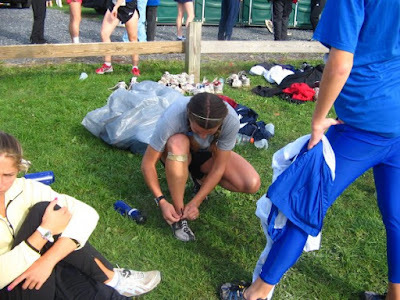 I had nothing to lose, really, as this was my last shot at collegiate cross country. My season was lackluster at best, but I did manage to eek my way onto the travel squad by the end, and I was happy, after all of that time, just to be able to compete. I continued to struggle with the knee pain throughout the season, only really solving it by the end. I basically tried everything known to mankind to get that knee to behave, including awkward straps. 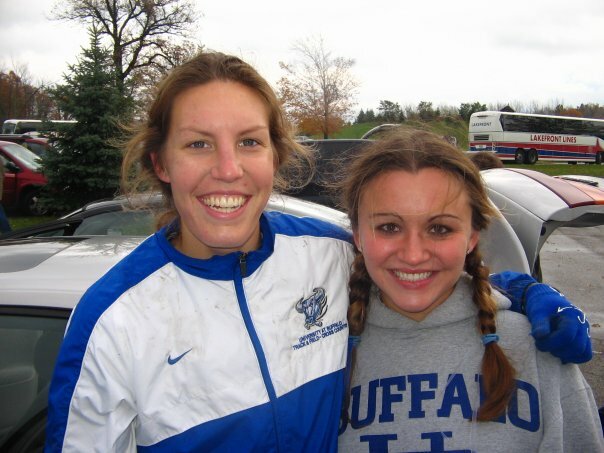 My roommate, fellow fifth year senior, and friend Kate after our final XC conference meet. It was an absolute mud pit, and the pilot light on the hot water heater at our apartment was out, meaning lukewarm showers. Our bathroom basically looked like a cow field exploded after that one. Oh, and I think I ran a 23min 5k or something. Indoor track started. By that point, my knee was feeling better, I had begun to drop some of the injury weight, and I finally made it to a meet and ran a halfway decent 3000. Life was good again; the real part of my comeback was happening. Then my left shin started to hurt. I tried to ignore it for as long as I could, but that turned out to be the wrong approach. Midway through the indoor track season, there was another day-glo bone scan, and another boot. At this point, I was out of second chances. I'd used up my redshirts the previous year, only to not have a indoor track season because I'd opted to wait to be in shape for one. As for outdoor track? I'd be able to start running at the start of the season, in early March. I had no idea if I'd be able to salvage anything, after missing over a year of real consistent training. I was never a star anyways; I wouldn't be scoring points or doing anything fantastic. I was in grad school, and the workload there was beginning to pick up. So I had two choices. I could throw in the towel, feel ok enough that I'd had three years of improvement in collegiate running, and be happy that, as a walk on, I'd been able to travel and contribute here and there. Or, I could absolutely cross train to the fullest of my abilities and put forth effort every single day, which the hope that I could end my college running career on a high note. 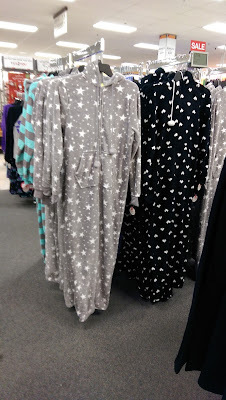 In my mind, this wasn't even a choice. I water ran until I could bike, and then I biked until I could use the elliptical. I hammered away at it, constantly challenging myself to beat the stupid numbers on those stationary machines. My teammates started to fear the prospect of my sweat-soaked sneaky post-workout hugs. I remember showing up to the training room once with blood streaming down my leg, because I'd smashed it on the stationary bike console, but hadn't wanted to stop with 5min left in my workout. Finally, finally I was able to start running. At my first meet, I ran a controlled 5k on a miserable April day, finishing in 19:15ish (I think). At the next meet, our home meet, I was given a bar to reach-sub-19:00 would mean that I got to travel to the Hillsdale Gina Relays the following weekend, one of my favorite meets. I clawed my way to an 18:5x. Then came Hillsdale. Free of expectations, happy, relaxed, and more ready to go than I'd been in ages, I floated through the race. 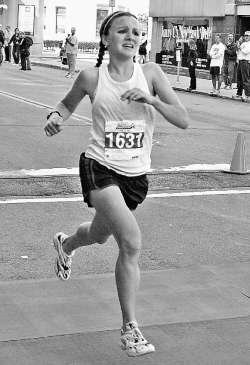 To this day, it remains in my mind the best that I've ever felt in a 5k. The laps ticked away, and I still remember running 18:17. Again, nothing spectacular for a D1 runner, but this was within 10sec of my PR that I'd run two years ago at the same meet, a towards the end of that nearly perfect junior year when everything had gone as planned and I'd been nearly perfect in workout execution and training. Finally, finally, I had a sign that I still had it in me after two years of struggle, ups and downs, and false starts. I cried as my coach hugged me, enthusiastically telling me that I'd been like the "energizer bunny" out there that evening. I went on that season to run a lackluster 10k at the conference meet, but rebound to carve a couple more seconds off of that Hillsdale time in the 5k on a scorching day a couple of days later. I didn't have the huge 5k or 10k prs that I had planned on capping my college running days off with two years before that, before my dreams went haywire, but after everything, those performances were all the more satisfying. Hillsdale focus. I'm not sure why I opted against braids here, but the flying ponytail is kind of fun. Post-MACs with some teammates. 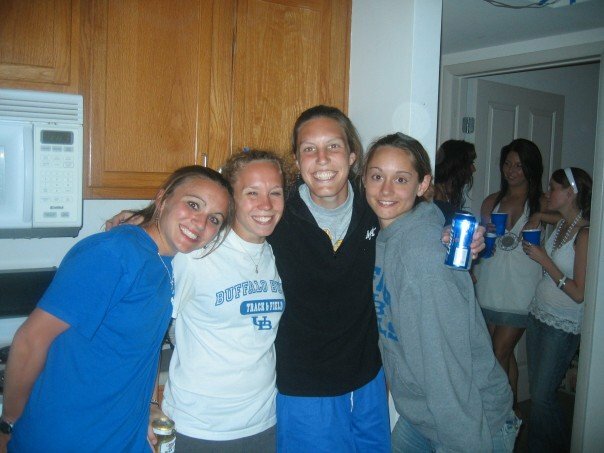 Yes, Kate does have a beer, but we were done with college running and of age, so I decided that this wasn't too scandalous for the blog. So what does that have to do with now? Well, if nothing else, I have knowledge that I've had stretches of bad luck and setbacks in the past that seemed to drag on longer than what seemed "fair". And I got through it. My unicorns and rainbows athletic plans didn't come to fruition, and I put forth a lot of work with no results. If I really think about it, I can make that time stretch analogous to now. 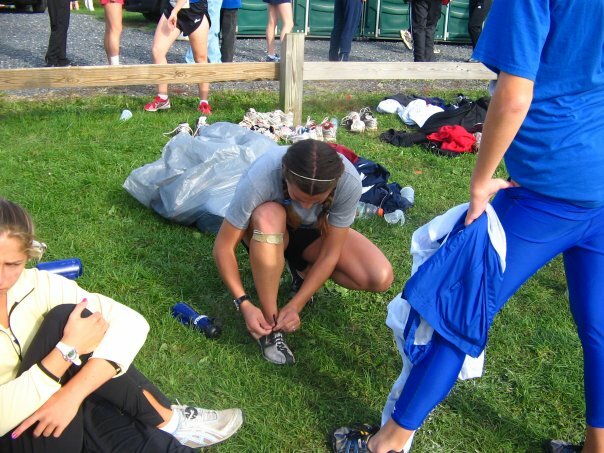 My junior year of college was like my 2013 season (through Placid)-I worked hard, I had no major setbacks, and the pr's and good races and satisfaction came easily. Then I got greedy, and went for more than my body could handle and more than my coaches recommended (the summer of overtraining then; racing Tremblant and Kona in 2013). 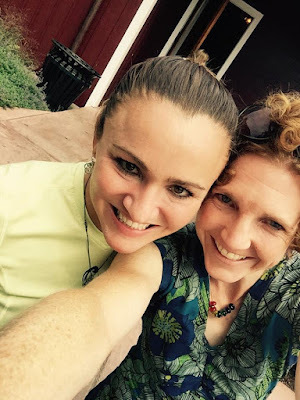 I paid (the stress fracture then; my struggles with health and energy throughout 2014). I got my health and fitness back, opting to be smart and aim for the following year rather than going for the immediate rewards (redshirting that indoor season then; giving up on 2014 August qualifying in order to have a good build to 2015). That all went off track with stuff that lasted longer than it seemed it should on paper (the ITB syndrome then; my Coz crash and fractures last winter). During both of those times, I probably let go of the reins more than I should have in certain areas before re-focusing and finding joy in simply being able to train and race again. I finally started to have some results more reminiscent of me, only to be completely struck down again (the second stress fracture then; the surgery now). I've been thinking about that stress fracture and the ensuing spring track season quite a bit lately. To be blunt, I've been very, very frustrated. I've struggled with dark feelings and more bitterness than I'm used to over the past few weeks. My hip doesn't feel as good as I'd like it to, and I'm more than a little leery about what's going to happen when I try to start running again. The timing right now is a little rough, too-squarely between the last race that I finished last year (Chattanooga) and the race that I had such high hopes to qualify for this year (Kona). But I'm not the first person to ever have an athletic career derailed for a bit, and I'm not even the first version of myself to experience this. I put my best foot forward (great figure of speech there..) and just plugged away then, making the most of what I could do when I could do it. Sure, I spent a lot of time on the outside looking in, but I made it through. So that's what I can do now. Almost in spite of myself, even with limited training, I'm not exactly in shape right now, but I'm not that out of it, either. If I could salvage a season after a couple of years of ups and downs and a lack of consistency then, well, maybe I can eventually now, too. Back then, I had teammates and friends and even other competitors to surround me, distract me, and pick me up with kind words, and I still have that now. I'm still so grateful for each and every one of you! From my cake-sharing roommate who got out of the boot a few weeks before me back in grad school to the fellow-injured friend who I shared some trainer frustration-vetting and a virtual drink (to comebacks) with during Chattanooga a couple of weeks ago, I'm supported. Back then, I might have fired off an AIM message to someone; now, therapy and understanding is just a text message away. I have my family, then and now. Same with coaches who have let me vent my frustrations, who have done their best to keep me from making the physical matters worse (not an enviable task...), and who have continually pulled me up when all I really need to hear is that I can still do this, that I'm not completely foolish for still believing that it'll work out someday. I guess I still have Dave (ha! ), too. He and I actually met between stress fracture #1 and the IT band syndrome days, and somehow that one has lasted (kidding!). Which brings me to my next point-outside of all of this injury and competition mess, everything else is just pretty damn good. I can't complain about any of that. I guess I have been sort of complaining about things lately, but being an athlete is a huge part of my identity. At the same time, though...life is still good. I can't forget that, or forget to be grateful for that. College friends way back when-this was our core group of classmates/teammates. We knew how to be goofballs. Friends! And Dave. He's still around. So many profanities have been added to my phone's dictionary as a result of text conversations with this one. We get each other. And going back to that belief, I guess that in spite of my numerous doubts and worst-case scenarios and consistent worries, some small part of me, deep down inside, still has dreams and faith that they can maybe someday come true. They might not be the dreams of plan A, B, C, D, or even any letter left in the first alphabet, but maybe they're better. I don't know. But I can continue to delude myself. With that, I'll sum this one up with a couple of my mantras and sappy anthems (my Pandora tastes are totally judgement-worthy right now, I completely recognize that) that I've been using as my reminders to take a deep breath and keep trucking on-"The only way out is through" and "Believe in yourself and all that you are. Know that there is something inside of you that is stronger than any obstacle" are the mantras; Christina Perri's "I Believe" (loser alert) and Jack's Mannequin's "Swim" (ugh...swimming) are the anthems. And maybe next time I decide to write, the rainbows will be out! New appropriate bike sticker, courtesy of Becky! 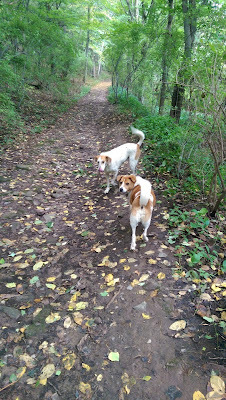 I still have dogs and woods, too. And leaves. Luckily, Bailey is only seen and not smelled in this one, because she had found something awful to roll in by this point in the walk. And seriously, if all else fails, Kohls sells this wonderful garments known as hooded fleece one piece pajamas for adults. At the time, they actually made me even more sad about not being able to run because I really want to go for a run when it's chilly out and then live in them for the rest of the day, but I could probably just live in them all day and be happy anyways.